Date of Construction 1916 AD. 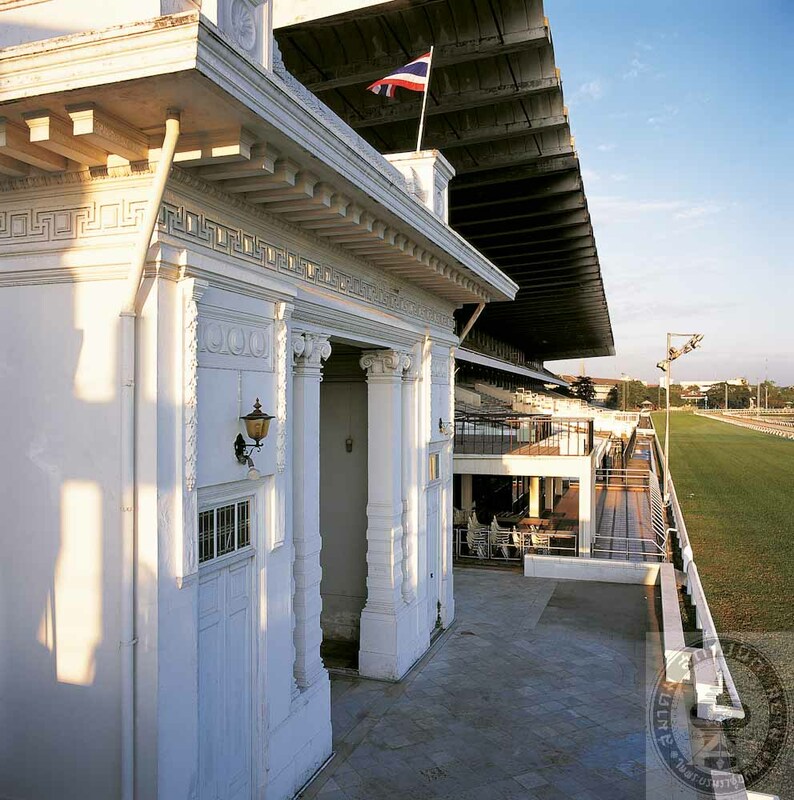 The horse racing course and club on Phitsanulok Road was founded by Phraya Pradiphattgaphuban. King Rama VI presided over the Opening Ceremony on 18th December, 1916. 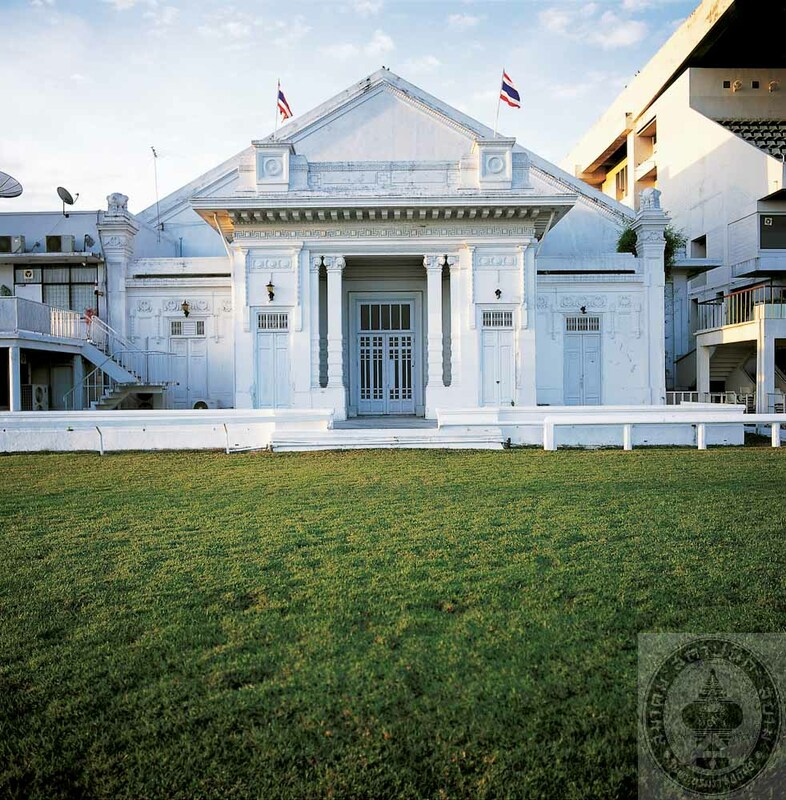 He had accepted the club under royal patronage and named it “Royal Turf Club of Thailand” The Multi-purpose Hall is one of the historic buildings since the establishment, originally the royal stable of King Rama VI. It is a rectangular building with a large hall in the middle flanked by the entrance to the south and the observation hall, where the King sat to watch the race, to the north. 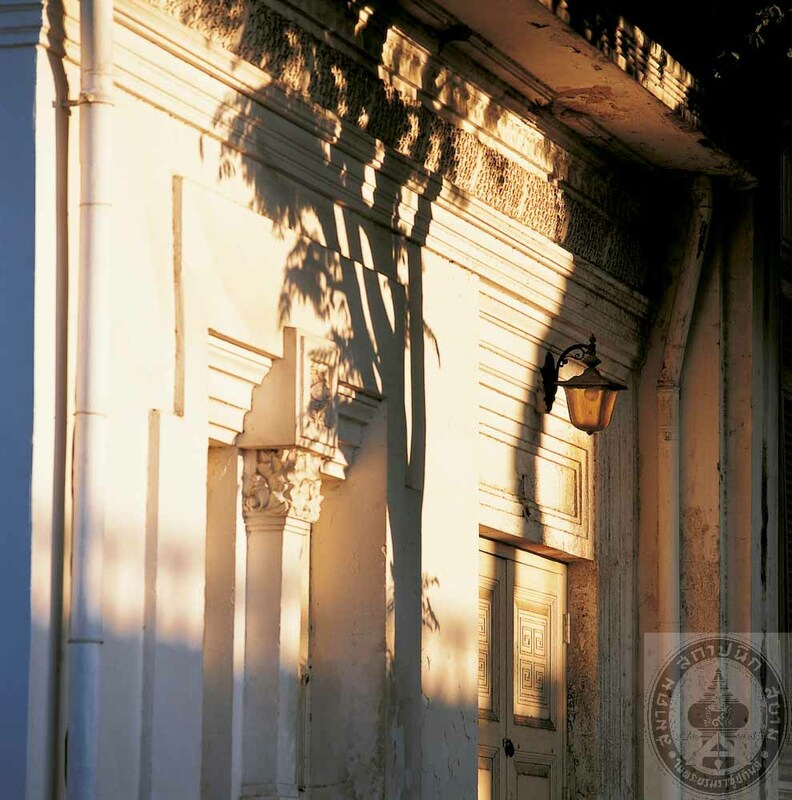 The architecture is Neoclassic, beautifully decorated with stuccos and mouldings. The middle hall is noticeable with its steel tied truss roof structure covering the whole area without middle supports. At present, the hall is used as a gymnasium for badminton courts and the floor is elevated approximately 80 centimeters above the original. It is assumble from structure and the design that this might not have been a stable as generally believed, but rather, an indoor arena for dressage riding practice.